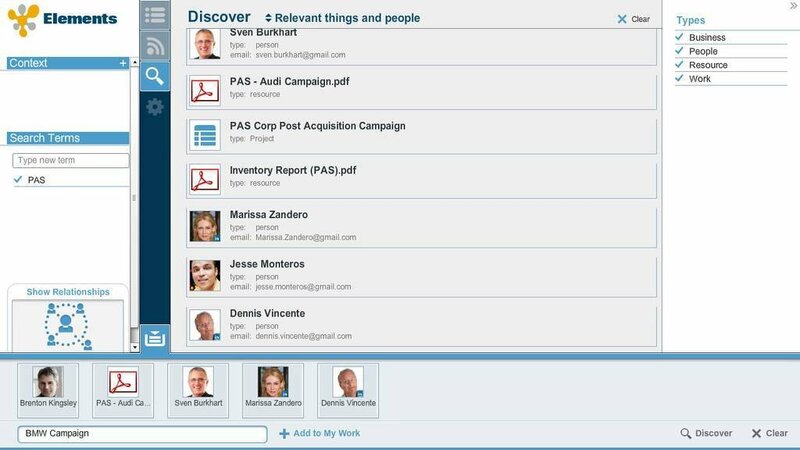 Fresh off StreamWork, SAP is on to its next Enterprise 2.0 initiative – a personalized cockpit of sorts for individuals to manage their work and the information they need for it from any application – regardless of whether it's SAP. 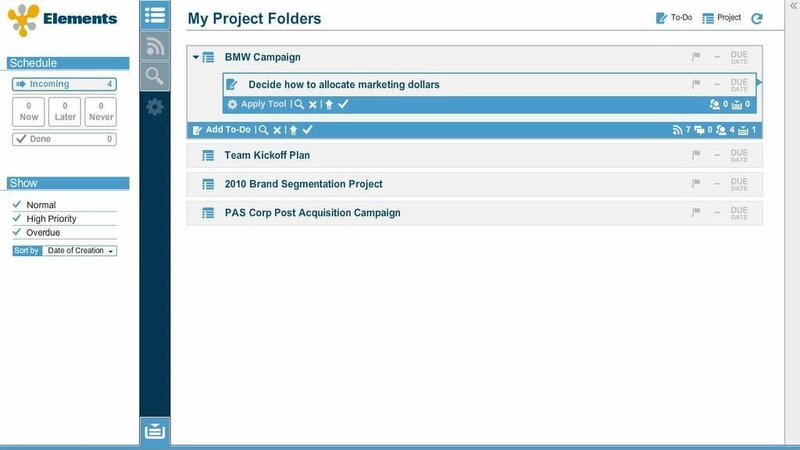 In contrast to the collaborative decision-making software StreamWork aims to be, SAP is billing Project Elements as a personal productivity workspace that allows employees to monitor, receive and manage work. Users can pull in other people, content and resources, and then jump into StreamWork to collaborate with them. SAP hasn't decided whether "Elements" will be a product of its own or whether the parts will be integrated with SAP's business software -- or perhaps with StreamWork itself. SAP demo-ed "Elements" at the Enterprise 2.0 conference in Boston last week. "You ought to be able to just work naturally," said Franz Aman, SAP's vice president of new products. "It's fun, it's enjoyable, it doesn't take three hours of training and does everything in an intuitive fashion." In the last year, SAP has been pushing Enterprise 2.0-type initiatives, with the goal of reaching a new demographic and shedding its longtime image of producing software that is difficult to use. "What they want people to know is [that] it's not the stodgy old SAP," said Ray Wang, partner at Altimeter Group. "They do have Web 2.0 ideas percolating up there. Some may work, some not. The good thing is that … the users know it's coming." People using SAP are looking for different user paradigms, Wang said – users want role-based interfaces. Right now, the predominant way of using SAP on a PC is through SharePoint. But as SAP looks to mobilize its applications and develop more on-demand applications, pieces of "Elements" could help that user experience. "What they're really trying to do is bring together people's work environment," he said. "I think a lot of these components have an opportunity to show up in some of SAP's products, particularly some of the SaaS products." In a demo of the "Elements" application, SAP product designer Fred Samson searched for a customer in a Google-like box. An icon of that customer appeared on his screen, along with all of the "context," as SAP referred to it, around that customer – who had worked with him, what they did, and an option to draw up feedback about the customer on Twitter and LinkedIn. It also showed icons of the applications that may help complete work around that customer. Samson dragged and dropped the icons of the people and documents the person needed to work on the project, and opened a new activity – which connected to StreamWork. As for StreamWork, which was released at the end of March, SAP is working on integrating it with its business software – specifically CRM – but wasn't ready to specify when that would be ready. The focus now is on bringing in more tools and templates from partners, facilitated through StreamWork's open APIs. StreamWork is a collaboration portal that allows users to work together on one screen -- creating action plans around specific tasks, inviting colleagues to participate in work, and tracking progress against business goals. There's a free version and an enhanced version that costs $108 per year on average, according to SAP. The professional edition – which has higher limits for recording and storing information -- costs $9 per user, according to Gartner. But StreamWork as a collaborative decision-making platform isn't quite there yet, according to analysts. It has some good capabilities – including tracking activities and recording collaborations, as well as integration with email, Word, PowerPoint, Excel and Adobe, WebEx, Evernote and Box.net. But it has limited capabilities for defining decision attributes such as success criteria, priority and due dates as metadata. It doesn't show participants where they are in the decision process. It doesn't suggest the right participants based on relevant skills or past successes with similar decisions. Also, according to a Gartner report, it doesn't allow participants to mine previous decisions for best practices, techniques and templates. With StreamWork and Elements, SAP's Enterprise 2.0 efforts are on the right track, analysts agreed. Organizations want to increase the value of BI to improve decision making and are looking for tools to help manage that process -- the forecasting and planning process in particular, according to Rita Sallam, research director at Gartner. BI tools typically gather a lot of detailed information, and colleagues agree on assumptions, but the whole collaborative decision-making process doesn't get linked. "It's a good beginning," Sallam said. "I do think they're on the right track [by] providing a platform for bringing together the different elements of a decision."